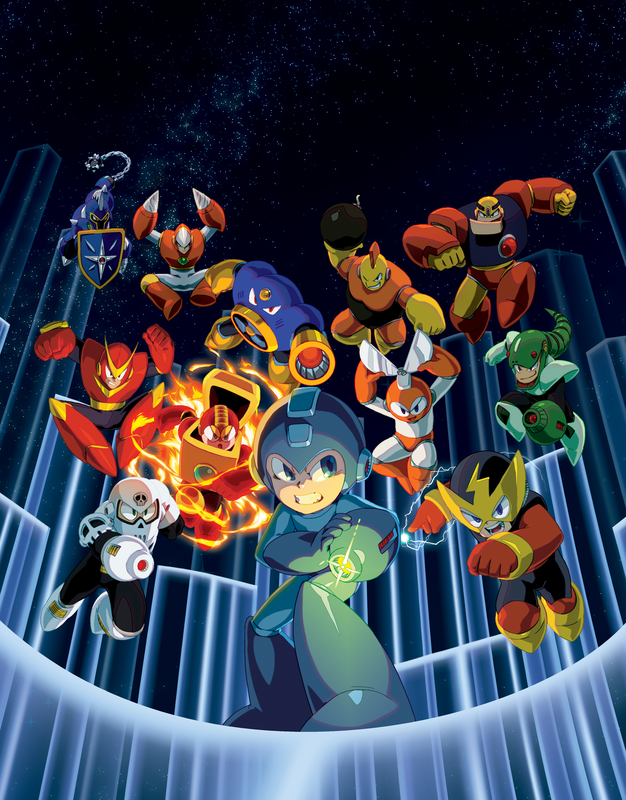 Capcom announced today Mega Man Legacy Collection; a collection that includes faithful reproductions of the original six Mega Man games along with a new Challenge Mode and a Museum collection of art assets that will appeal to both new players and diehard fans. Featuring faithful reproductions of the series’ origins with the original six Mega Man games, the Legacy Collection will remind long-time fans and introduce newcomers to what made Mega Man such a popular and iconic character. Mega Man Legacy Collection will feature all six games and more for an MSRP of €14.99 / £11.99 this Summer as a digital download on PlayStation 4, Xbox One and PC, and this Winter on Nintendo 3DS. In addition to the original six games, you also get challenges, a huge of-the-era museum packed with visual history and a helpful database that informs AND tests you on your Mega Man prowess. And for those keeping track, the trailer jam is “Searing Scissors,” part of OverClocked Remix’s excellent “For Everlasting Peace” album. Leaderboards, challenges, replays: Challenge Mode takes moments from each title and weaves them into a series of, well, challenges! So things like ‘can you do these six areas strung together with one life bar’ or ‘try fighting all six Mega Man 1 bosses in a row.’ And to keep the quest for the best time alive, the top performers in each Challenge will have their replay data uploaded and viewable to everyone! There will be many challenges to vex seasoned players AND help train newcomers in the ways of the Blue Bomber. Database: Each Mega Man game will have a database that includes enemy lists. From here you can read details about certain enemies and hop directly to them for a practice session. For example, say you’re tired of playing all the way to Quick Man just to lose over and over. With the database, you can hop directly to him and practice that buster run until you get it down to a science. Then it’s off to the full game for the real deal! Museum: MMLC will sport an exhaustive collection of sketches, art and other visual materials that help put you in that 1987~1992 time period. Part of this game’s goal is the preservation of history, and the folks at Digital Eclipse are scanning items at absurdly high resolutions to make them as clean and clear as possible. We will bring you any news on Megaman Legacy Collection as soon as it becomes available. The post Mega Man Legacy Collection Coming To The PC, PS4 and Xbox One This Summer by Archie Paras appeared first on WCCFtech.